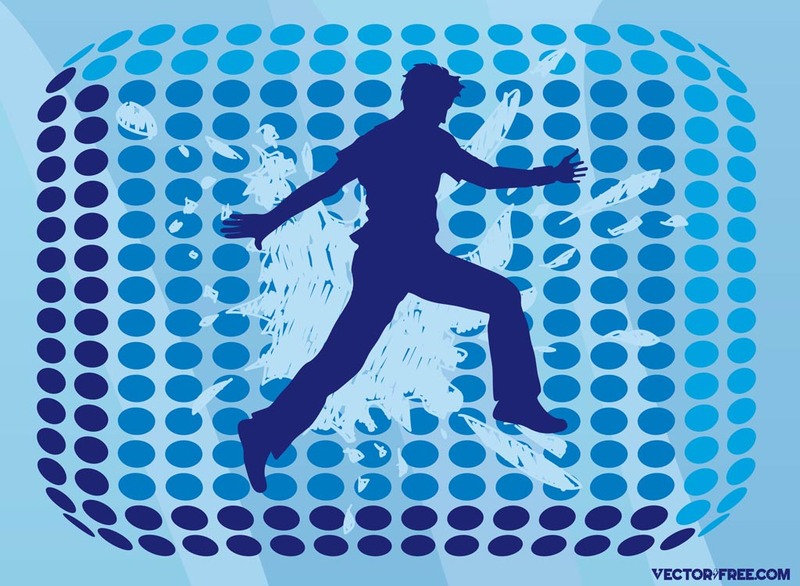 Vector silhouette of a walking or jumping man on abstract background with blue rounds and paint splatters. Cutout design of a boy on cool backdrop for your healthy lifestyle, joy and happiness vector illustrations. Tags: Boy, Human, Joy, Jump, Jumping, Man, Paint, People, Stains.